“We have met the enemy and they are ours,” proclaimed Oliver Perry after defeating a British fleet on Lake Erie 200 years ago. As the sun’s orange glow began to illuminate a cloudless sky on the morning of September 10, 1813, a lookout on the mast of USS Lawrence spotted six British ships gliding across Lake Erie’s shimmering horizon. 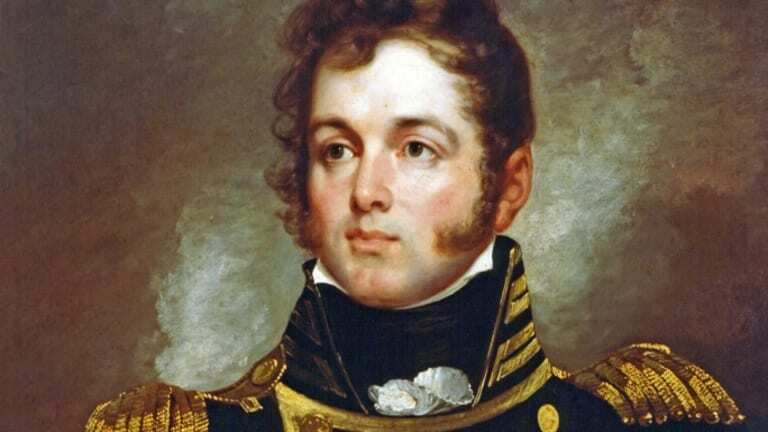 As soon as the ship’s captain, Master Commandant Oliver Hazard Perry, heard the sailor’s cry of “Sail, ho!” he ordered his fleet to raise anchor from the harbor of Put-in-Bay, Ohio, and engage the enemy flotilla. Months before, the 28-year-old Perry had been given command of a nine-ship squadron under construction at present-day Erie, Pennsylvania. After the flotilla’s launch, Perry’s forces succeeded in choking the British supply lines on the strategic inland waterway. 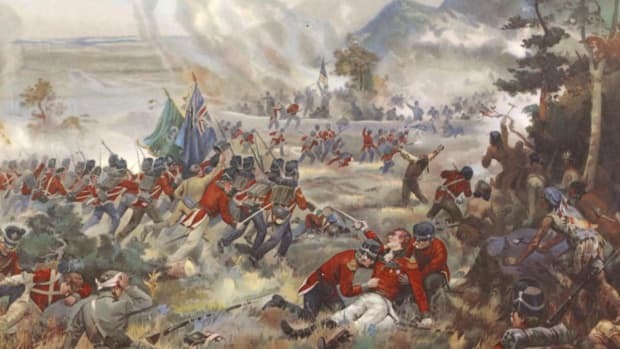 With its fleet left with only one day’s rations and supplies inside nearby Fort Malden rapidly dwindling, the British felt compelled to attack the American armada. Watching aboard HMS Detroit was British Commander Robert Heriot Barclay, a salty Scotsman even younger than Perry who had fought at the Battle of Trafalgar in 1805 and subsequently lost his left arm in a fight with a French convoy. Shortly before noon, as the nine American warships closed to within one mile of his fleet, Barclay ordered his flagship to open fire. The first shot splashed harmlessly in the lake, but the second 24-pound shot smashed directly into USS Lawrence. Perry, whose ships carried 32-pounder carronades effective only at short range, ordered his men to hold fire until a shift in the wind allowed him to move his gunboats into closer proximity. For a half-hour, British long guns shredded USS Lawrence. 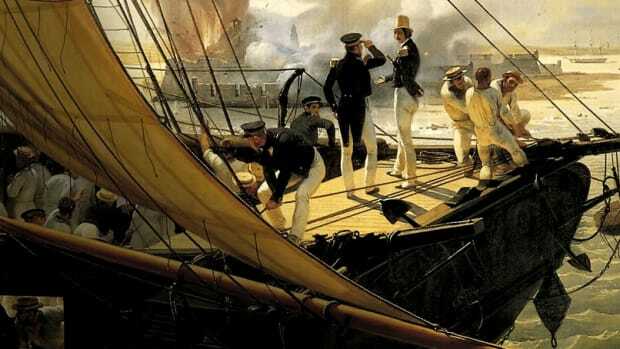 Cannonballs and flying splinters felled dozens of American sailors as Perry waited until they were finally close enough to unleash their superior short-range weaponry. The ships pounded each other round after round. Riflemen in the rigging fired at enemy brigs. Lake Erie’s placid waters roiled like an ocean in a tempest. Sailors struggled to sidestep the corpses strewn on the deck, and overwhelmed surgeons could not keep up with the wounded. 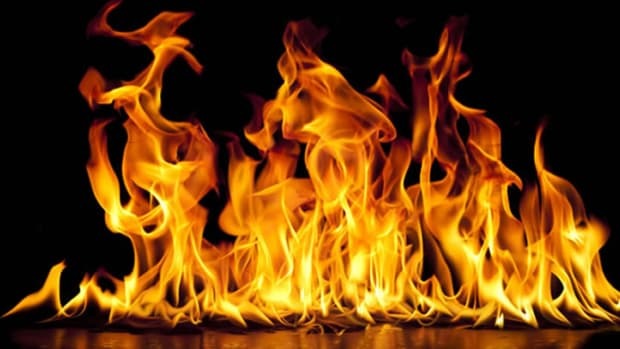 The captain and first lieutenant of every British vessel were killed or wounded. Barclay was taken below deck after his remaining arm was severely hurt, and after more than two hours of a brutal beating, USS Lawrence was reduced to a crippled hulk. Every gun facing the enemy had been disabled, and nearly all her crew were killed or wounded. Through it all, however, Perry remained unscathed and unflustered. He ordered the battle flag lowered, and, in spite of its admonition, gave up the ship. 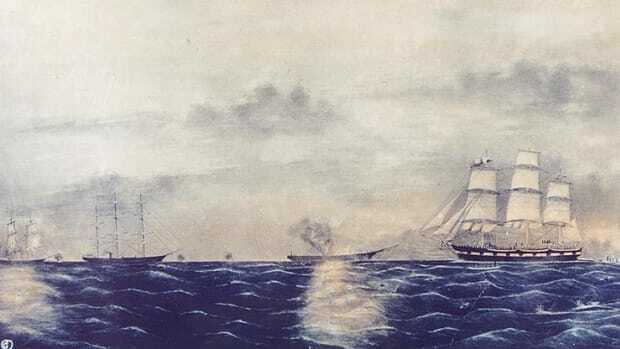 The commandant, with the ensign cradled in his arms, abandoned the splintered warship and boarded a small cutter with a handful of healthy crewmen who rowed to an unharmed American brig, USS Niagara. Dodging a shower of gunfire and cannonballs, Perry and his men survived the half-mile row and boarded Niagara. 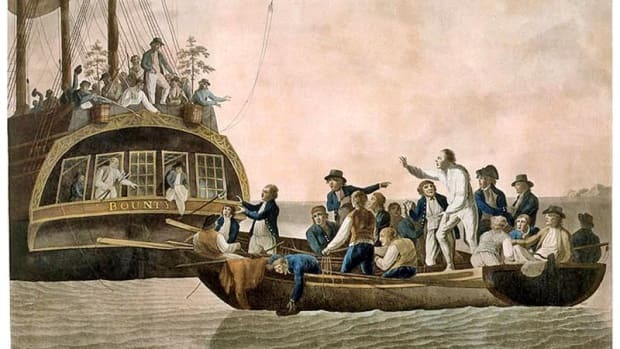 The British expected a retreat, but instead Perry raised the battle flag on Niagara, sailed directly toward the enemy and unleashed a fusillade on both broadsides. With the British ships left in the inexperienced hands of junior officers, the riggings of HMS Detroit and HMS Queen Charlotte entangled, leaving the vessels defenseless as Niagara closed to within 100 yards and raked the British warships. It took only 15 minutes for the British to strike their colors in surrender. 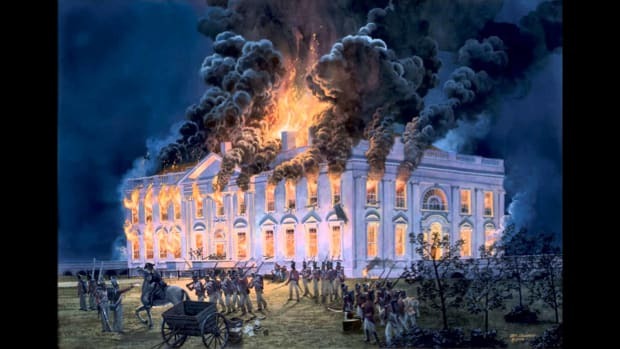 The battle left 30 Americans dead and 93 wounded along with 41 British killed and 94 wounded.